We can see them but they can’t see us. 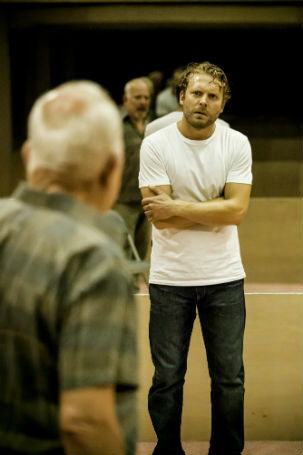 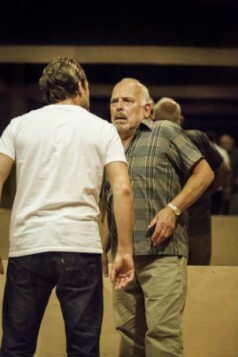 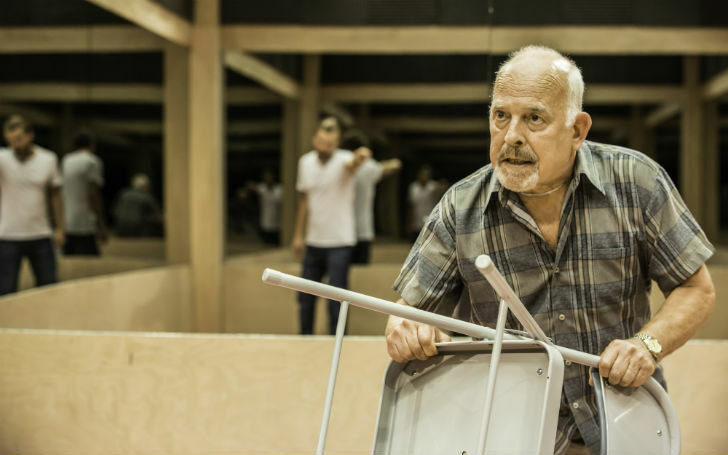 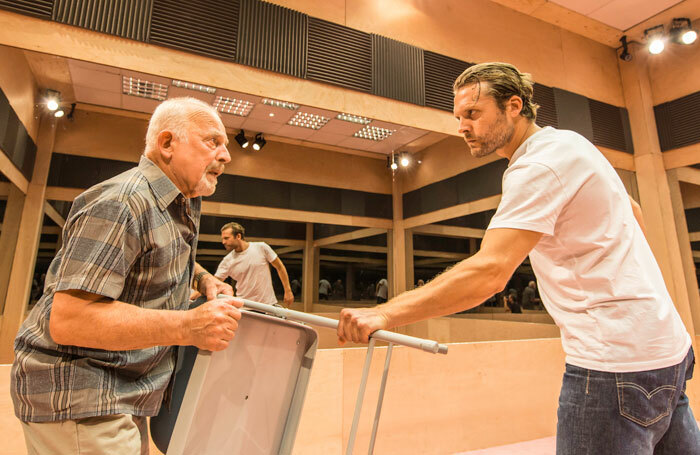 Michael Longhurst’s spare, intelligent revival of Caryl Churchill’s taut two-hander from 2002, first seen at the Nuffield last year, is performed by real-life father and son John and Lex Shrapnel. 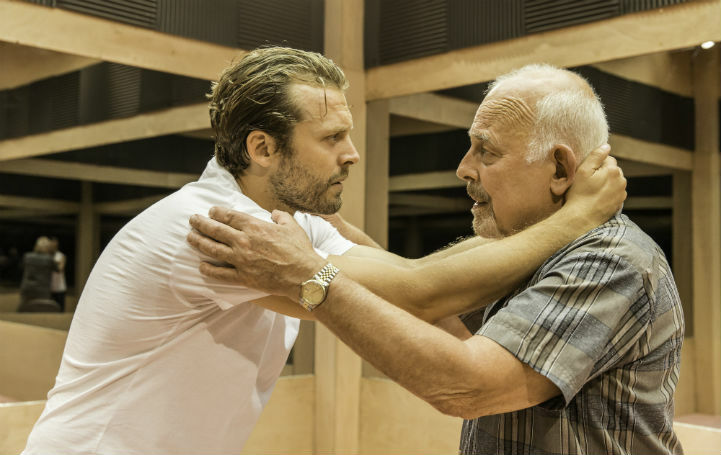 It’s not the first time it’s been played this way, Timothy and Samuel West have also played the roles, but the casting adds another layer to what is an already idea-rich piece. Churchill’s play takes the form of a series of encounters between a middle-aged man called Salter and a number of his children, the twist being that two of them are clones of the original. The play, while an intellectual exercise on some levels, riffs pretty thrillingly on ideas of parenthood, genetics and inheritance; it cuts to the quick about what it means to be a father, a parent – to reproduce. 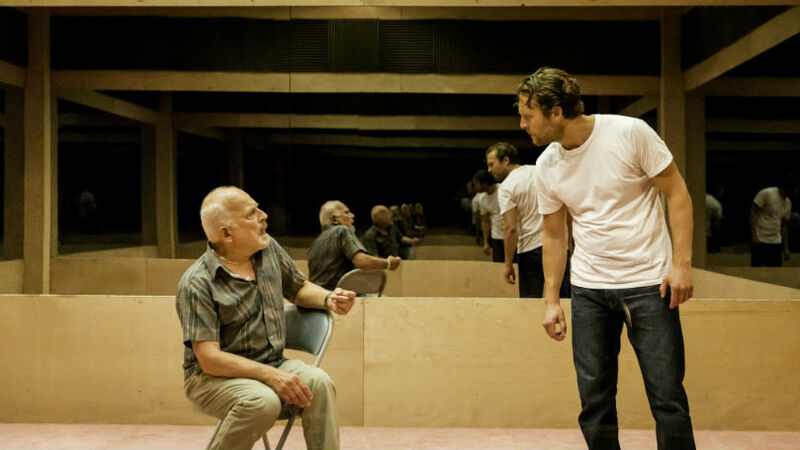 Designer Tom Scutt has enclosed the performers in an austere, cell-like wood and glass cube, bare except for a single chair, with father and son surrounded on all four sides by two-way mirrors, framed by their reflected selves. 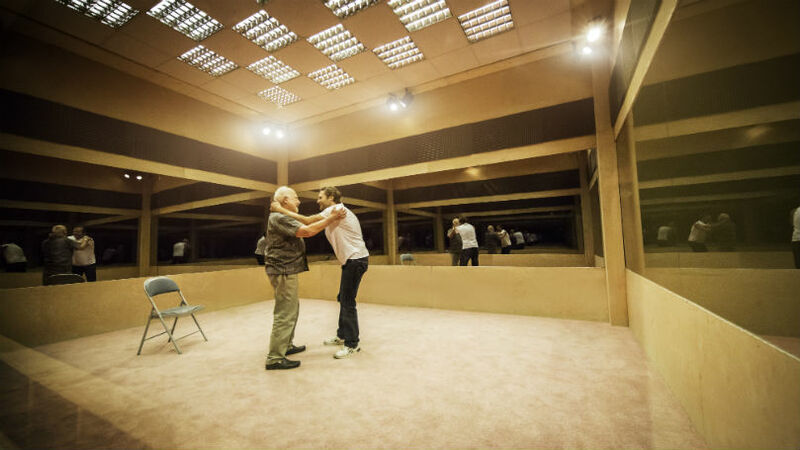 The audience are arranged around them in narrow viewing galleries, but while this feels suitably clinical, it also puts a barrier between the audience and the performers and keeps them at arm’s length. 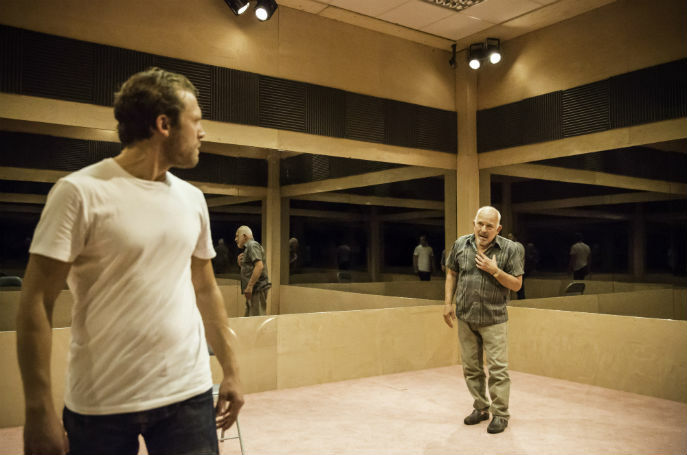 That said, both Shrapnels do a superb job with the material, and it’s particularly fascinating to watch the way Lex creates a series of iterations of the son – the same man, but not the same at all.